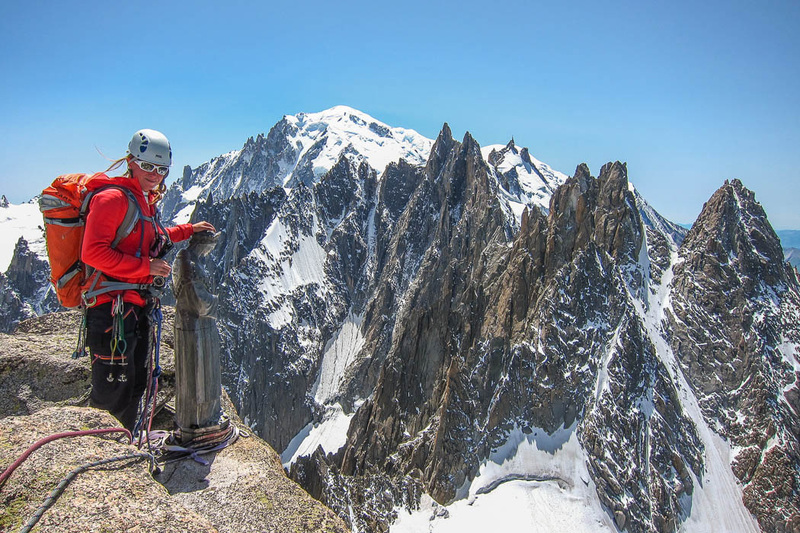 In the middle of the complex south-east face of Grepon unwinds one of Chamoinx’s greatest classics; Grepon-Mer de Glace, D, 850m, first done in 1911! 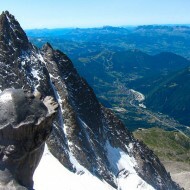 Now days it’s sometimes done in one day return from Chamonix, ascent via Montenvers train and cable car down-load from Plan de l’Aiguille. 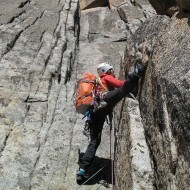 Light and fast, simule-climbing in friction shoes. 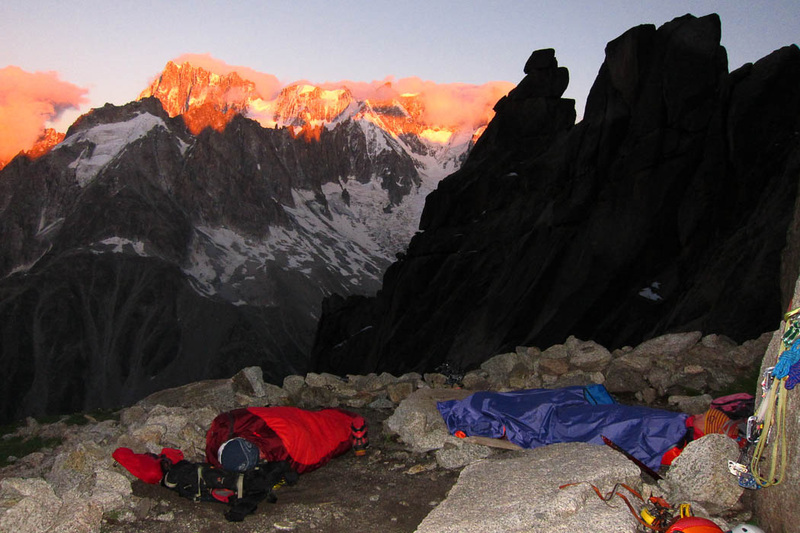 We did it a bit more old-school in big boots carrying bivouak gear, setting off in the afternoon and spending the night on a large ledge 200m above the petit Trelaporte glacier. 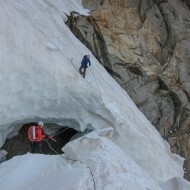 This way we did not have to do any route finding in the dark, which can be complex on the first half of the route. 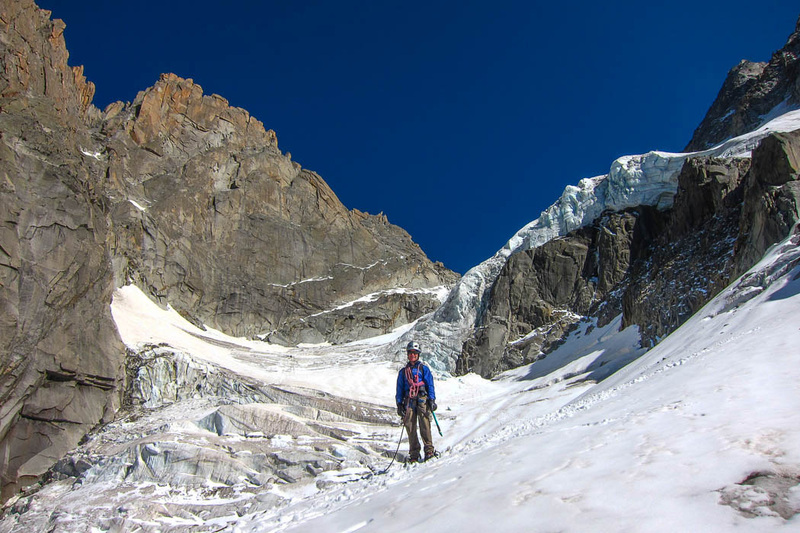 Bivouak ledges are plentiful all along Grepon-Mer de Glace, but we choose the deluxe size spot just before sneaking around the corner into the large gully where our route separates from the normal route to Aig de Republique. Crossing over the first (lookers-right) spur issued from Grepon there are multiple options. 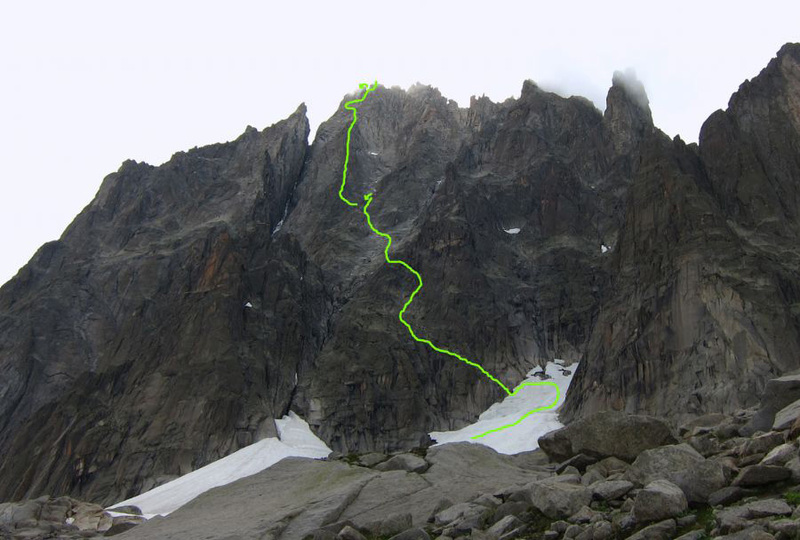 We did not encounter the little chimney described both in Piolas guidebook and on the drawing included in Camptocamp’s Grepon-Mer de Glace topo. 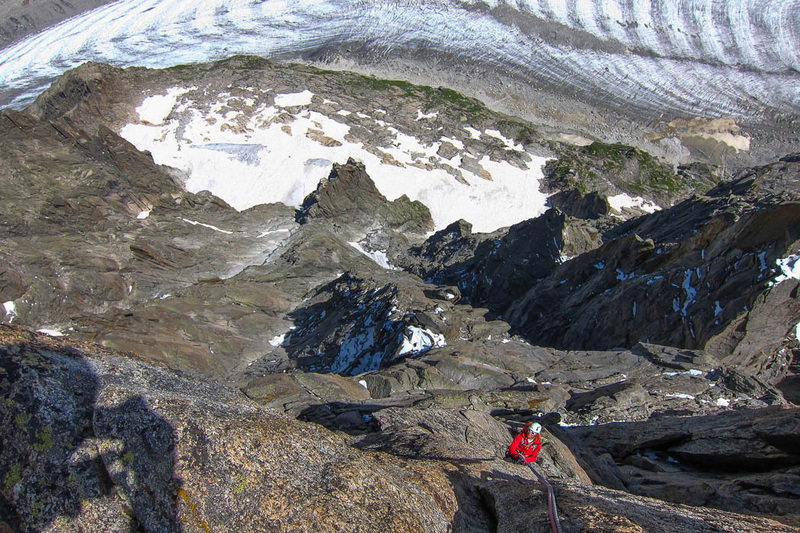 Instead we did one stright 20m rappel into the gully and then traversed along a ledges to the next (east) ridge that we’d follow for the rest of the day. 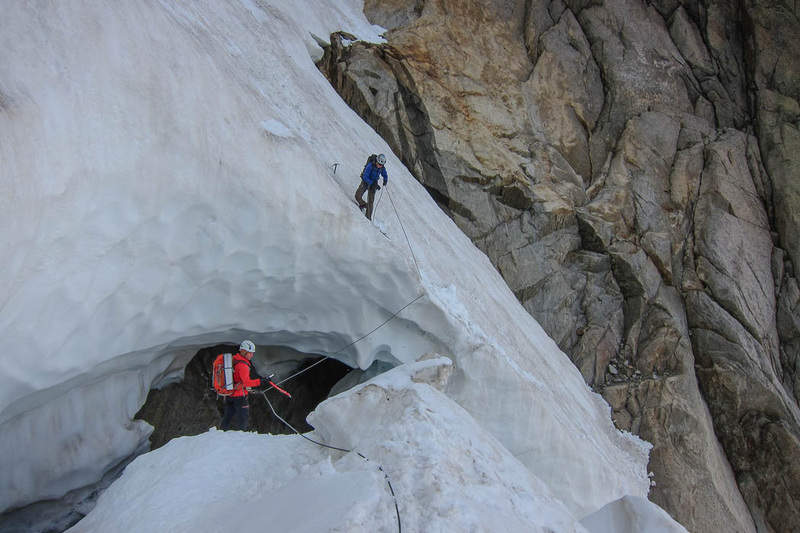 Other then the various rappels to traverse this gully there is not much gear in place, no belays and only occasional pitons and old slings to be seen. 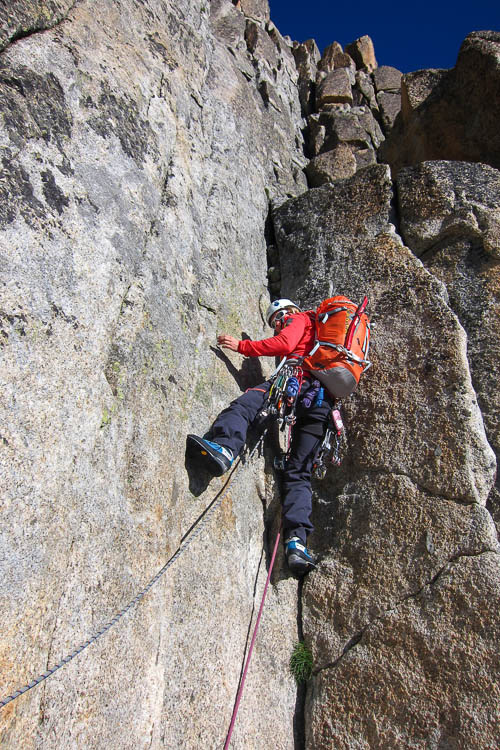 Once on the main spur the climbing is on top-quality rock and gets gradually steeper and harder. 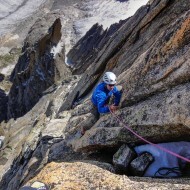 The pitches swing between both sides of the crest, following cracks and corners. 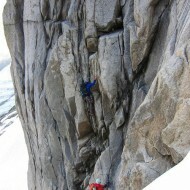 For a chronicle series of photos from the climb see the photo gallery below. 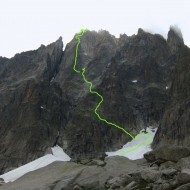 Coming up behind Aig de Rock the route makes a detour to the left to avoid a steep shield, then traverses back right to a straight line of cracks below Breche Balfour. 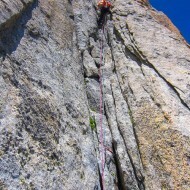 The last 3 pitches resembles modern 6a climbing and friction shoes can be handy, at least for the leader. 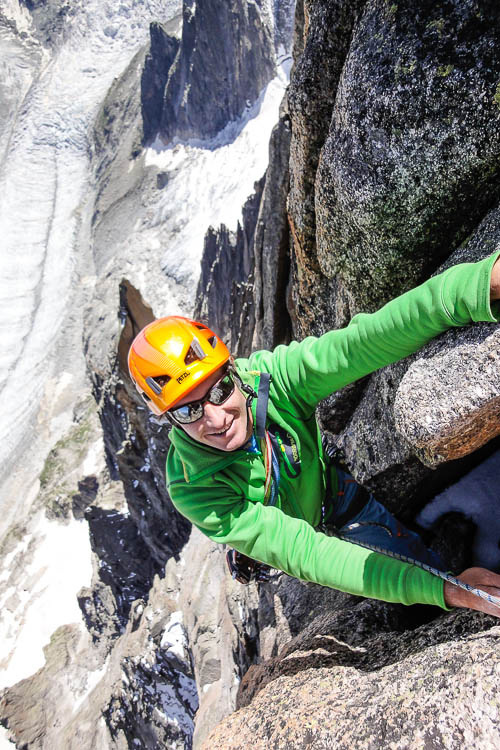 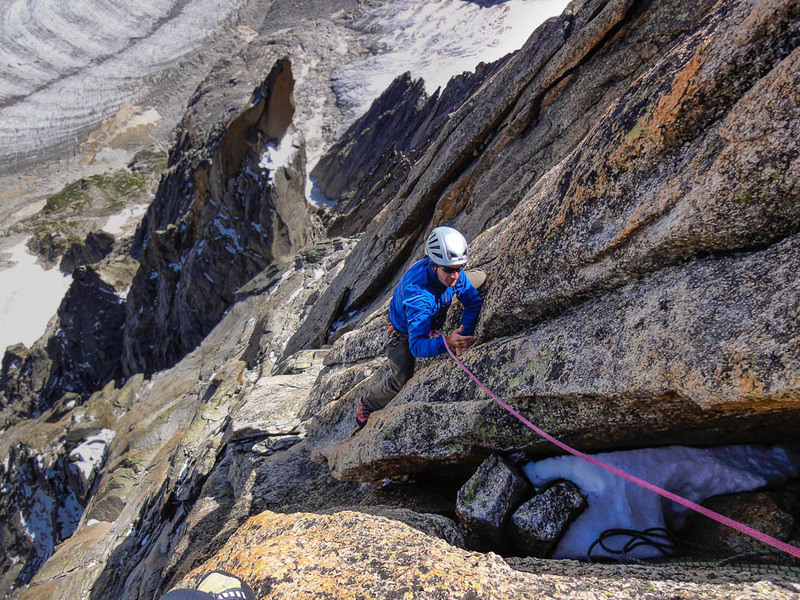 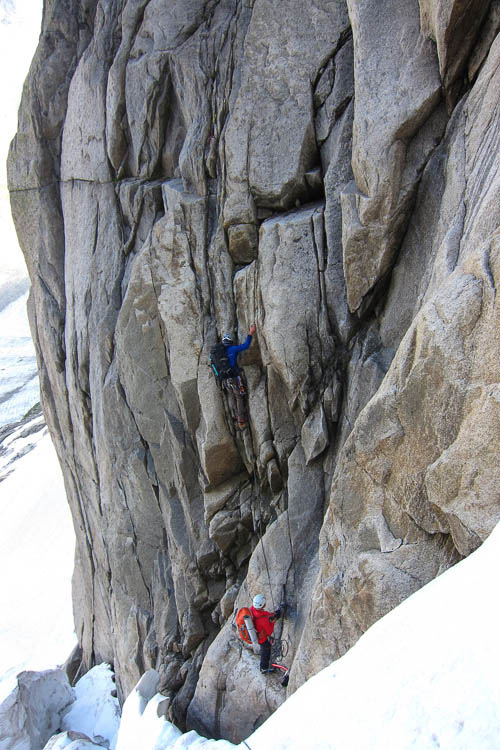 Back packs can be left at the Breche for the last pitch (rewarded with a name of its own – the Knubel crack), which probably got famous because it is impressively hard for this type of climb (but well protected as you can put cams in a smaller crack to the left of the wide crack). 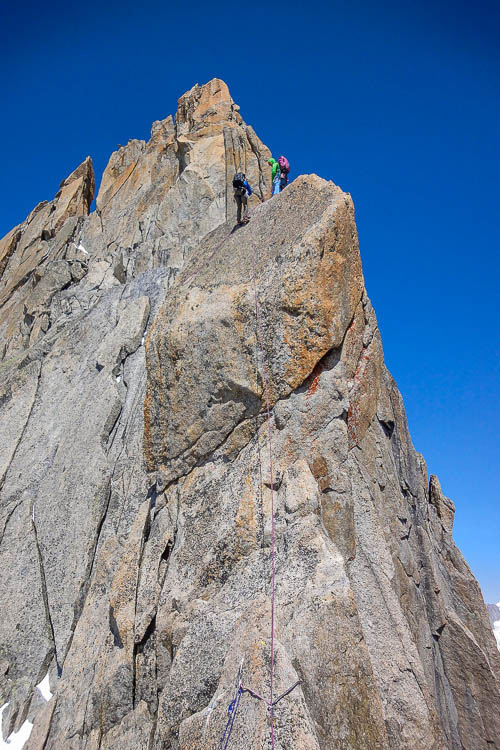 The descent along the west side of the South ridge of Grepon has a few installed rappels, one of them 20m traversing a few meters along the crest and ending with a 3m climb up to the next belay. 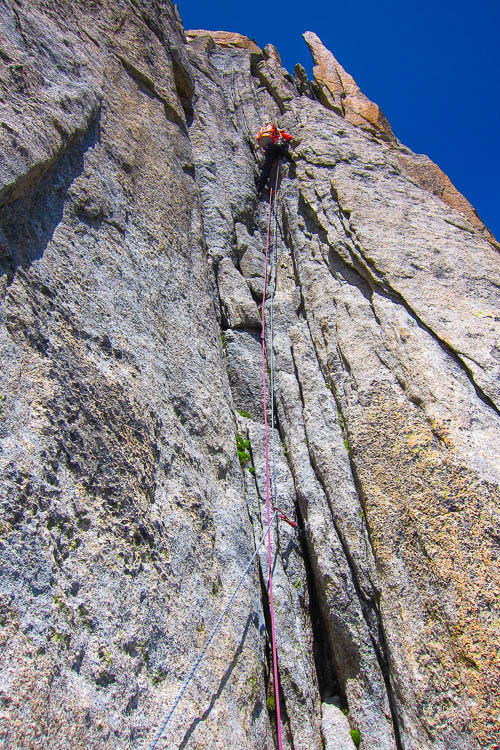 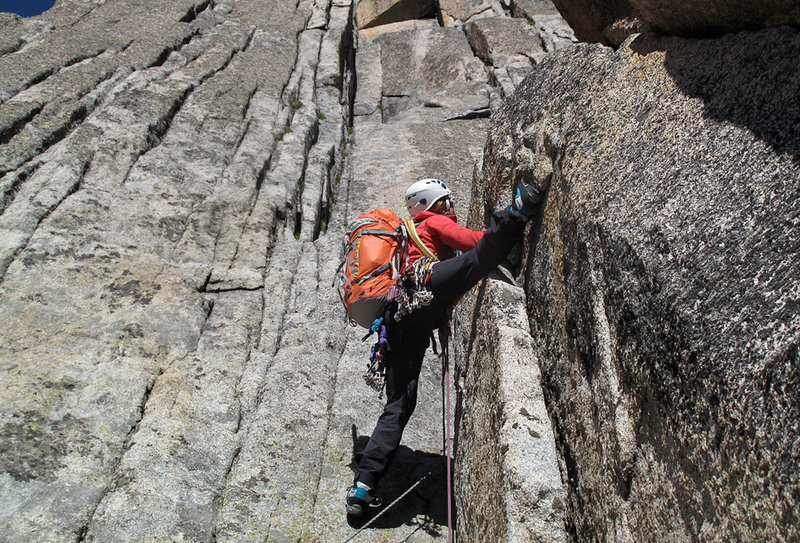 Take care not to fall off the crest during your attempt to reach the next belay… After that it is down-climbing along ledges. 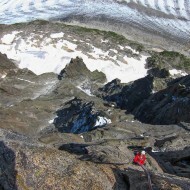 Nantillons glacier is never pleasant to visit, but certainly better wiht snow on then without. 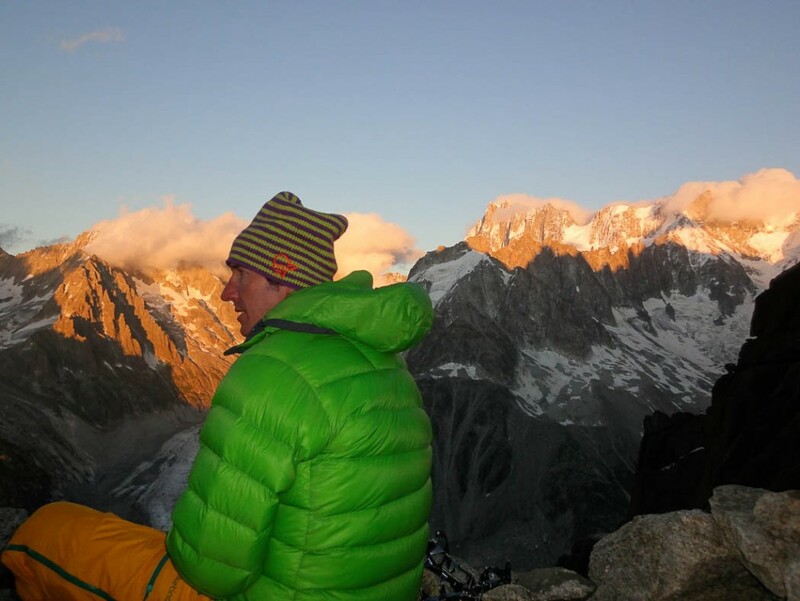 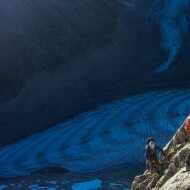 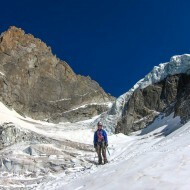 We had good conditions in July 2012 with a soft snow cover and the glacier remained quiet. 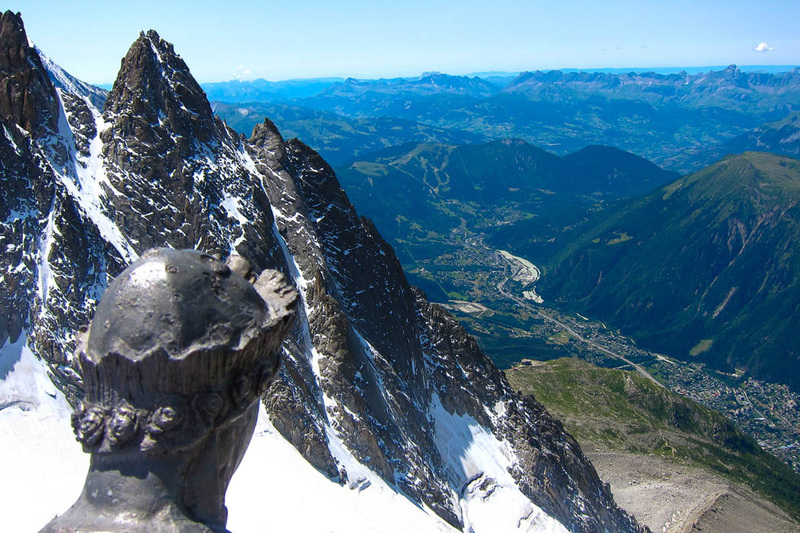 Grepon-Mer de Glace being a round-trip, from Envers des Aiguilles back to the frontside of Les Aiguilles de Chamonix, adds to the beauty of the adventure. 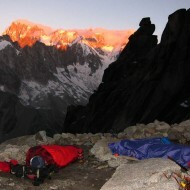 The views are constantly changing, together with the terrain, the sun and the moon. 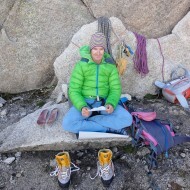 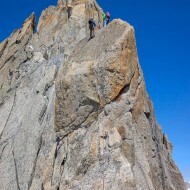 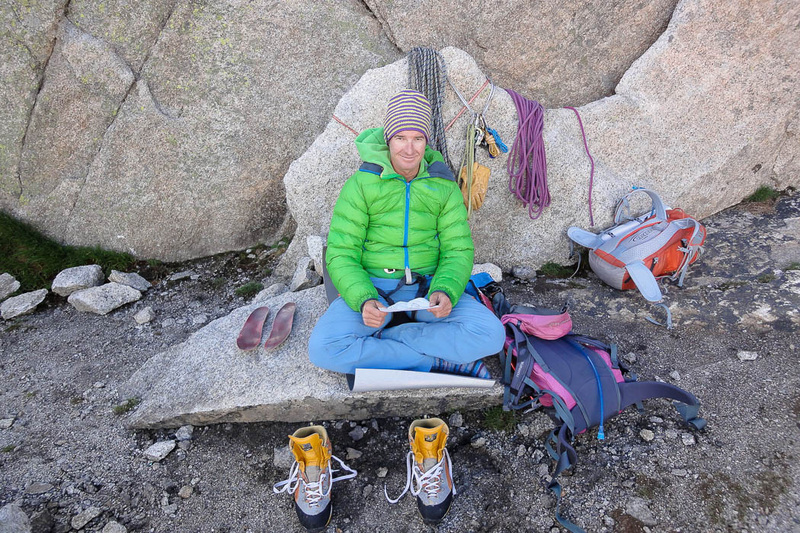 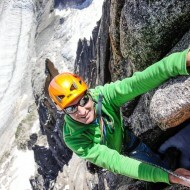 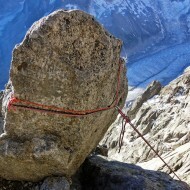 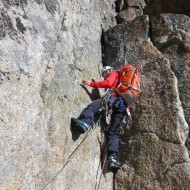 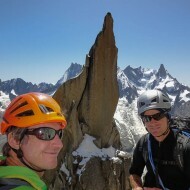 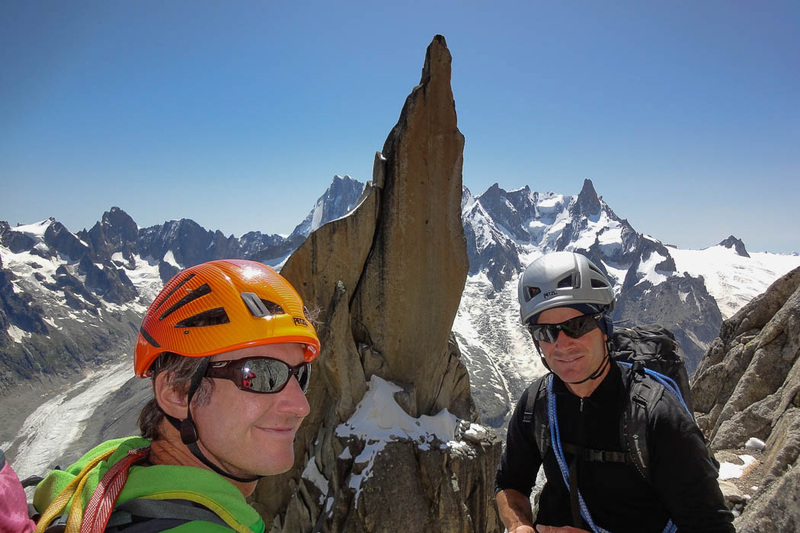 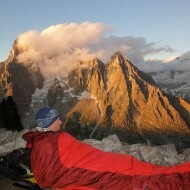 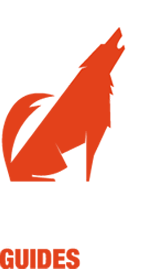 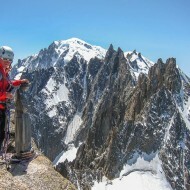 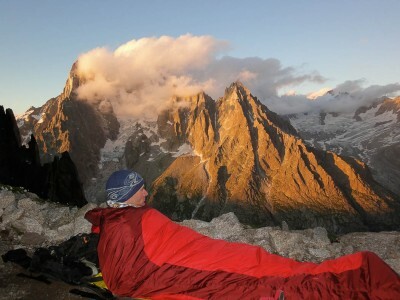 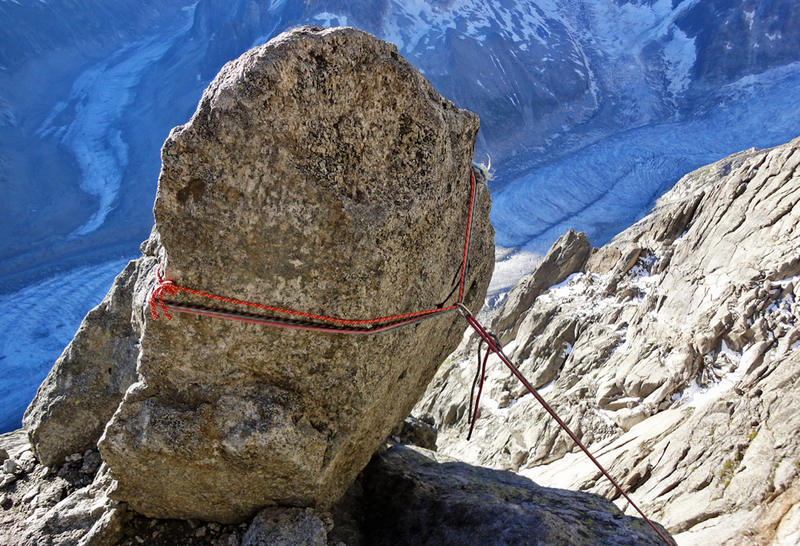 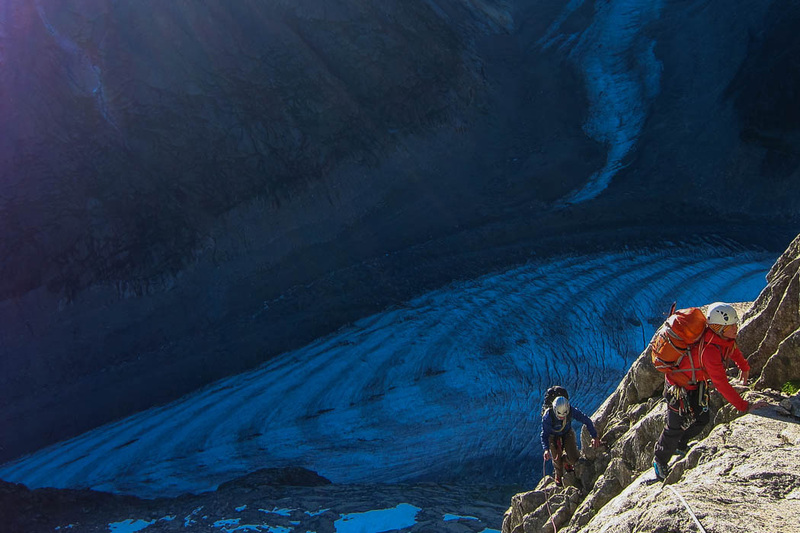 Categories: Alpine Rock Climbs, Mountaineering and Route Descriptions. 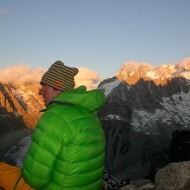 Tags: Chamonix, Grepon and old classics.